Cellcom has first launched “Something Small and Good” on 2006. “Something Small and Good” is a loyalty scheme including various offers and discounts for subscribers created in order to raise loyalty of current subscribers and enhance customer experience. The first part of the action which launched on 2006 was hugely successful: More than 500,000 subscribers used the offers and got a total discount of ILS 50 million. The Operator has continued to run the campaign with its second revival on April 2007 and has now launched another promotion under the activity, this time with an emphasis on family benefits. 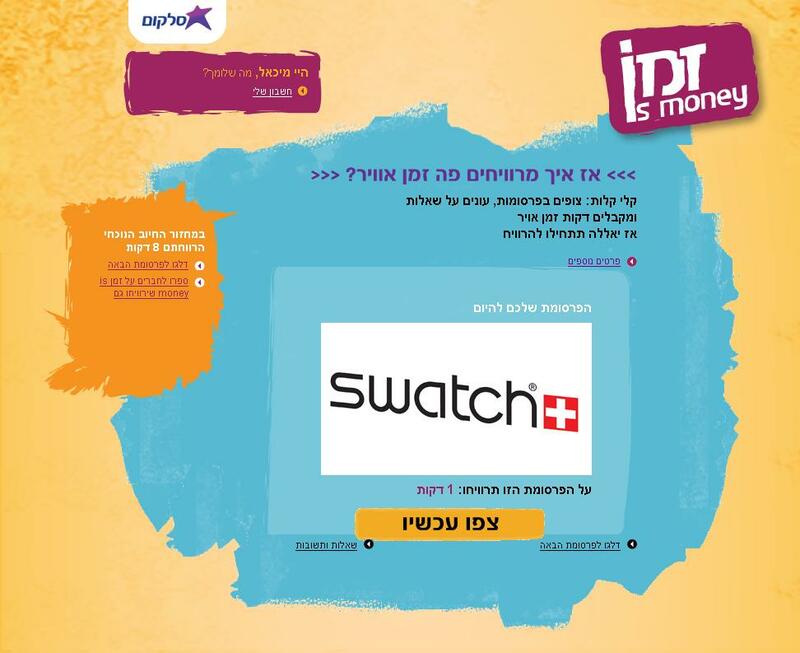 The current promotion was running in Azrieli malls across Israel (10 malls), and allowed Cellcom customers who sign in the official website to buy 1 item and get 1 free in a selected assortment of stores. Besides activity benefits in the various stores, the malls who participated in the promotion had experiences and attractions for children: colorful parade around the mall – hourly round, between the hours of 19:00-16:00, photography position allowing customers to print photos taken on their phone as a Souvenir, and jazz gigs around the mall. In order to use the benefits, customers needed to send an sms with the word “good” to the number 5150 and display received code to store personnel. The client can maintain the code received and re-use the benefit, once again. Today I finally found a free hour to test Cellcom’s paid-ads service zmanismoney which was launched last month. This was also delayed due to the fact that I don’t posses a Cellcom phone so I had to leech on sombody.